So at 8pm that night, there it was; the sparkly gowns, the hilarious host, the amazing movies, the entire thing - It was lovely. After last night, I want to watch 'The Artist' just to see if it lives up to the hype. In terms of clothes, my favorites were Meryl Streep's fluid-like gold gown and Cameron Diaz' pastel number with that adorable bob. So while we're on the topic of red carpets, my last day in Jaipur was spent at the finale i.e. the red carpet ceremony of the Jaipur International Film Festival. We were dressing since afternoon decked up till the eyeballs and when we finally arrived there, it was pretty slow. So a bunch of us sneaked away and did a spot of shopping. Moral of the story: When in doubt, go shopping. Pin-striped white blazer - London, Black lace camisole - Gap London, Skirt - George London, Stockings - Marks & Spencer, Ballet flats - Local boutique in Bandra. I think this is the first blazer that you've seen from me. Well, I know winter is gone and all but at least it is a start. 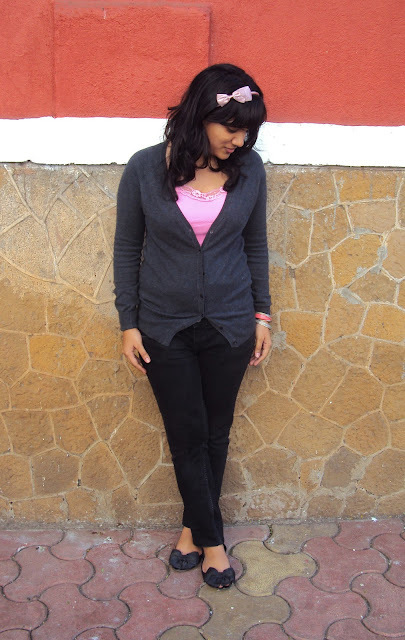 And this is also the first black and white look you've seen from me in 2012. PS: Did you catch the first outfit from my Jaipur series ? Looks like this post is all about firsts. Hope this has been a great week for you guys. I'm dreading my exams which will be making an appearance soon. But lets hope they dissappear just as fast as they've come. Style-File: New York Fashion Week. 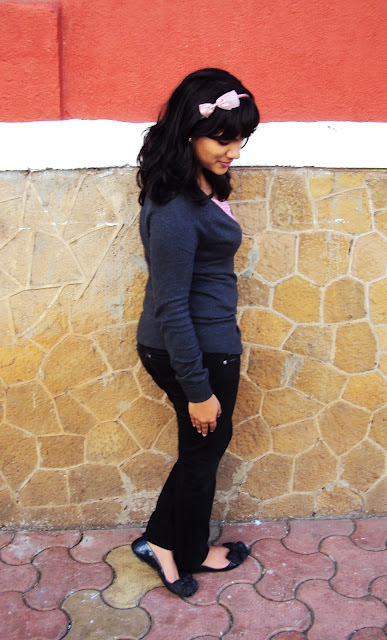 So in this post I told you about my desire to mix things up on this blog, to go beyond just outfit pictures. Well dolls, that change is now going to be implemented. I was thinking about it and apart from my weekly outfit picture post, I have decided that I am going to write another weekly post. This time, the posts will revolve around current trends, reviews and celebrity sightings. So what is in today's post, you ask ? Well ask no more - Take a look for yourself, at a style-file of the New York Fashion Week which concluded recently. While everyone is posting about the collections at NYFW, I've taken a different route and posted about the outfits worn by celebrities who attended fashion week. I can barely believe Jessica Alba is a mummy - I mean, doesn't she look so fit & healthy ? I love the pattern of the dress, the bright turquoise shade and the printed clutch. All in the same tones, good burst of colour and not too matchy - matchy. Mary-Kate and Ashley have always maintained their stylish image, whether they're walking their dogs or at NYFW. The matching all black looks are lovely but it is a little boring. Onscreen as the devious Blair Waldorf and off-screen as her beautiful self, Leighton Meister look refreshing and set for spring in this green chiffon dress teamed with mustard heels. Now the usually immaculately dressed Blake Lively looks a little sullen. Black and white is a classic combination, I agree. But the dress could have been shorter, she should have changed her heels and she could have smiled a little more. A fashion post wouldn't be complete without my favorite, Alexa Chung. That effortless style is working like a charm, Alexa - Keep it gorgeous ! Nina Dobrev's cobalt blue number is a sigh of relief from the sea of mundane black dresses that were everywhere. Wear bright dresses in spring. Check. Olivia Palermo, you could have schooled Blake a little on black and white. 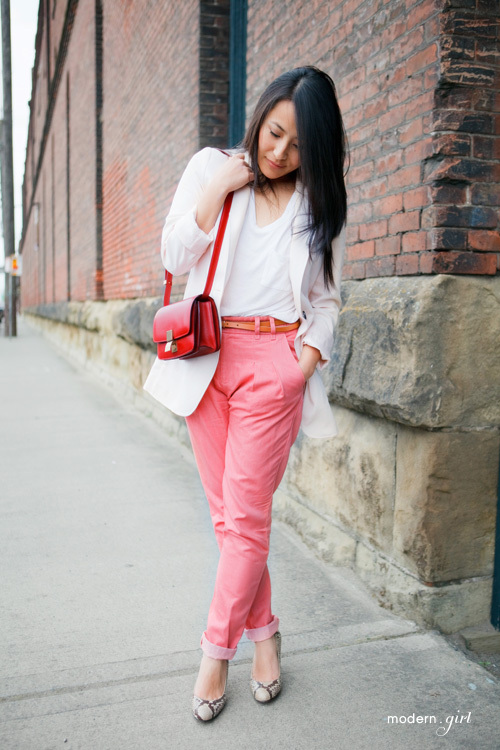 From the feathered blazer, to the metallic capped pumps, to the dark nails; Olivia you look amazing ! I like the mint shade that Dakota Fanning has got on, but her trousers look like a pair of pajamas you would wear on a day at home. Possibly the best looking , Debra Messing has got it all in the bag with the hot pink dress, black peep toes and gold accents. Way to go ! Rachel Zoe, I do love the plaid suit and sunnies but then again, the colour is a little too gloomy for my taste. Last but definitely not the least; Emma Stone went all red and complimented it with a metallic taupe clutch. She really manages to look perfect every time. Every single time. So dolls, how did you like the outfits at NYFW - Any favorites ? Mine was Debra Messing. Once the colour pink is involved, you have my full attention. So my exam dates have been fixed for March and there are about 4 kgs of xeroxed notes taking the place of my laptop. But worry not, there is still time to go so I shall be posting as usual. This is the first time I'm doing a post like this, so I would love to hear your feedback about it. Do you like the changes that are going on around here ? Have a good week dolls ! One night it was so cold I could barely feel my fingers. Just a few days later, it was so hot I switched to race-backs. Ahh the period of transition between winter and spring has arrived. The lovely little slice of the year when you cannot go out with layers but it is still to chilly for the summer clothes. After breakfast one fine morning, I was faced with this exact situation. So what in the world do you possibly wear when you're stuck in between seasons ? It was my last shot at winter so I pulled an outfit together and came up with this. I have missed shorts so very much ! It felt good to finally feel the sun on me. Posing in the sun would have been impossible if not for these stylish sunglasses. And those sandals look so great in this kind-of weather. Spring is coming guys - Aren't you so excited for it ? Well, I am. Slowly, the projects are finishing off as the exam dates approach. Once that is down, 3 whole months of lovely nothing-ness is on my agenda ! Well April, you cannot get here soon enough. The honest truth is, when I first came to know about the reign of pastels, my reaction was, " Pastels. Meh. " They were so pale and light and barely there. However, in the weeks to come, when the blog posts with those breezy lilac skirts and summery jeans started appearing in my news-feed; my opinion started to change. I would go with pant #3. 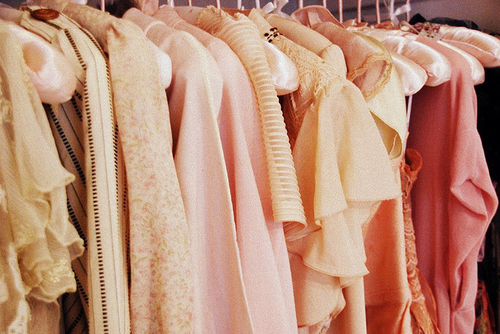 And now I've developed a soft spot for pastels, specially the ones in the pink - lilac tones. 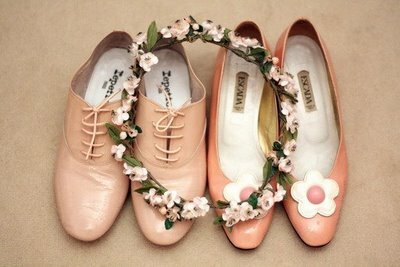 Their delicate colours and femininity are perfect for spring. The moral of this story is: Every once in a while, you need to experiment (and I'm not only talking with regard to spring trends ! ) You may not love every new thing you experiment with, but you will never know unless you try. So be open to change - It can turn out to be magical. I do hope you lovelies have been having a good week. Mine has been so hectic - I can't even find the right adjective to describe how hectic! I'm looking forward to Monday ( I never thought I'd say that ! ) when the projects simmer down. The reason I decided to do this post was because, I don't want to be confined to my own personal style on my blog - I want to mix things up! Did you guys enjoy this post ? Apart from my outfit posts, are there any other types of posts you would like to see here ? Speak your heart out - I'd love to hear your feedback ! It has been one helluva day ! Everything went completely off plan in the morning itself - from appointments to vivas to project work. Honestly, it can get a little exasperating. After gathering whatever patience I had left, I was on Twitter & realized that it was the day of the Grammys. *Ahhh. Awards, music and pretty clothes - the perfect pick-me-up! * From then on, the day has been getting brighter and brighter ! I stopped procrastinating & got some work done, had a nice peaceful day and am now fully charged for tomorrow ! Apart from having some beautiful tourist destinations, Jaipur in the month of January is freezing. The weather came as a little bit of a shock when I just arrived but I decided to make the best of the crisp, chilly weather. This outfit is what I call, making the most of the weather. I love the orange pop in the midst of the gloomy grey. 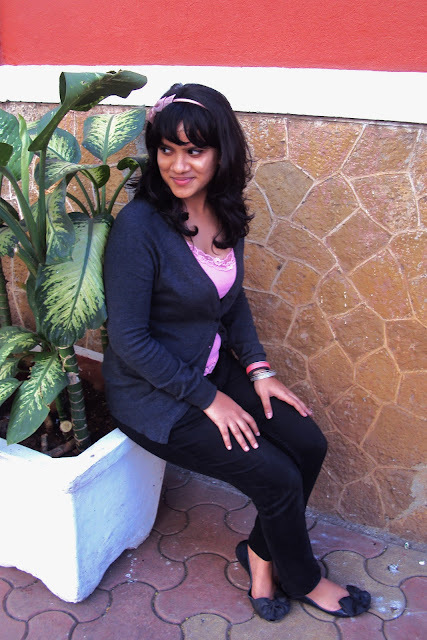 I had been dying to pair stockings with shorts and the cold Jaipur weather allowed me to do that. So enough of this jibber-jabber, what is going on with you dolls tomorrow ? So it going to be something completely mushy, or just a normal Tuesday for you ? So express yourself & show the people you love, that your love them. 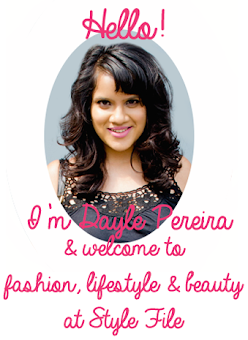 Have you joined in my first giveaway yet ? Have a good week my lovelies & Happy Valentines Day to everyone of you ! So I don't mean to sound like Dexter but tonight's the night. Kill room and blood slides aside, tonight's the night I announce the big giveaway contest I've been ranting about for the past week! So *drum-roll* here it goes ! It is a known fact all over the blogosphere that GLOSSYBOX is arriving soon in India. 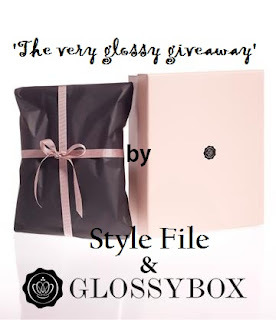 To celebrate this glorious event; a collaboration with the wonderful GLOSSYBOX allows me to I present to you an amazing (my first) giveaway - The chance to win a free GLOSSYBOX ! 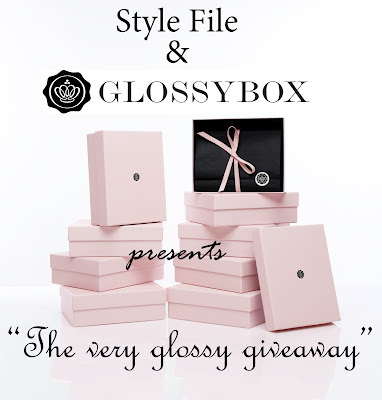 You heard that right - a free GLOSSYBOX which includes 5 luxury samples! wouldn't you love for this to arrive at your doorstep ? For the unaware, let me tell you a little about GLOSSYBOX. 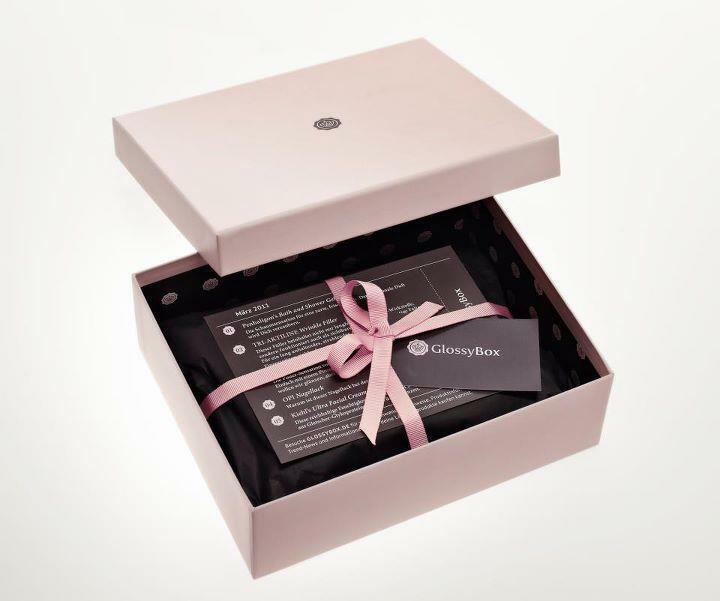 After you first register & subscribe to receive your monthly GLOSSYBOX, you fill in your Beauty Profile so that the team can match the products to your specific requirements. You shall then receive your monthly box not only with 5 luxury samples but also with a few tips and tricks about beauty and style. 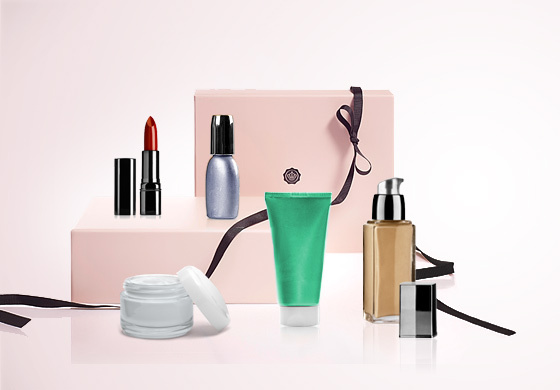 The innovative thing about GLOSSYBOX is that, it allows you to try out products at your own ease and comfort. So lets get down to the contest now, shall we ? There ! The rules are done, now let us get down to the good stuff i.e the contest ! For the picture below, all you need to do is come up with a hilarious/witty/smart/clever caption. Write your desired captions in the comment section and the best one shall be selected by me. I've given you an example below to make it more clear. Eg: "Hey Michele, how about we wear Uggs & freak out the fashion police tomorrow ? " The last chance to enter the contest is on the 22nd February, 2012 at 5pm. The contest is open to Indian residents only. It's time figure out what the the gorgeous Michele Obama & Carla Bruni are talking about. PS: There are no right & wrong answers dolls so it's time to let that creativity out! Now hurry up & join in! So dolls, it's been a tough weekend. After barely even reaching back in Bombay *Yes, I say Bombay* there was a tonne of projects and assignments that exploded in my face. From writing ad campaigns to re-shooting TV shows, this batch of projects seems to be the toughest yet. Time to get into action. Other than my traumatic college stories, the weather is pleasant and the climate is slowly transitioning to spring. The layers are coming off & the clothes are getting shorter. In other news, valentines is coming soon. And since I'm at my cheesiest best this year, I have such an amazing outfit that is so brilliant for that day *At least I think it is! * I better stop talking about it so much, I might just end up giving it away. But fret not, it shall be up on my blog for all eyes to see. Now enough talk, more pictures. 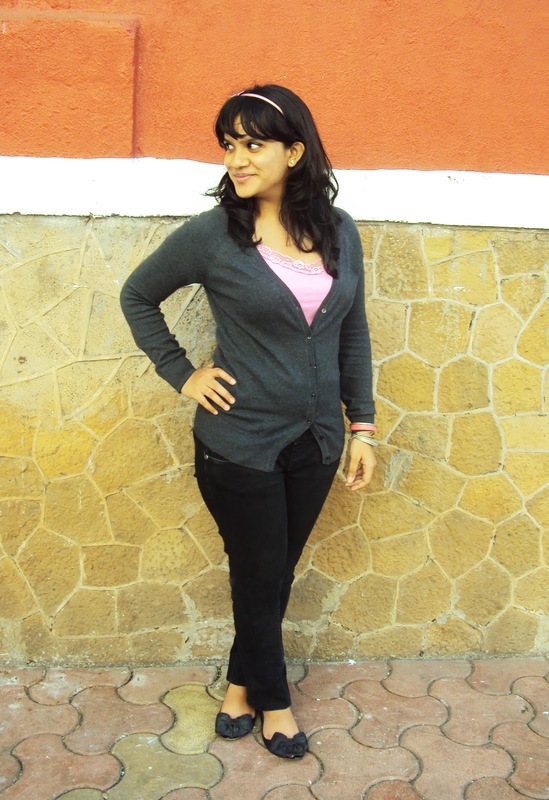 Grey cardigan - Zara, Pink lace-trimmed camisole - Oasis London, Black skinny jeans - Topshop London, Pink satin bow headband - Accessorize, Ballet flats - Boutique in Bandra. Even though I was a little apprehensive when I picked this cardigan; the colours blend so well together, I don't think it is worth complaining about. 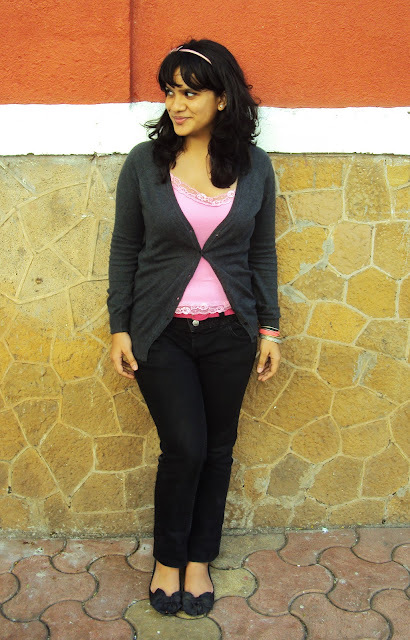 Pink and grey is such a pretty, easy-breezy combination, one you really can't go wrong with. And that headband is so adorable - It brings the entire outfit together! Have a great week lovelies and take care! I reached home from Jaipur early this morning. However amazing your trip may be , there is a certain joy you get only from arriving back home. I felt that today morning. Nothing beats the joy of unpacking your shopping bags and eating your mums grilled chicken. Mmmm. Even though the main purpose of the trip was to attend the Jaipur International Film Festival; eventually the purpose of the trip became stuffing our bags with clothes and shoes, sight-seeing at some heavenly spots and late night madness. Well, purpose achieved. Now let us focus on the main story here: Lip products. They are a god-sent necessity which most girls use. So when I was contacted by the SpaStore to carry out these reviews, I was ecstatic! The SpaStore is a beauty website (which will launching shortly) which stocks some of the worlds most renowned international cosmetics brands. Soon enough, I received a little brown package with 3 NYX goodies inside. I tried out each item and now, after a few weeks of usage, I'm going to review each of them. *The products were sent to me by SpaStore India but the opinions and views expressed below are completely my own. The lip gloss is a bright shade of orange which took me by surprise when I saw how bright it was. However once you apply it, the colour is barely pigmented and you will see just a light hue of orange. There is glitter in lip gloss which adds a lovely shine when you apply it. - Well packaged. The application wand gives you an ample amount to apply. - The light pigmentation gives you a light pleasant colour which is not too shocking. - The glitter adds a sheen to the lips. - Lasts for just 2 - 2.5 hours without any eating and drinking in between. For it to remain glossy, it would require a touch-up in between. - Once it dries out, the glitter remains stuck to your lips which feels a little odd. The lipstick has a transparent top which allowed me to check the shade even before opening it. It is rich and soft and has a delightful smell. The shade is sort-of a rose gold shade with a golden gleam. - Smart packaging with a transparent top which allows you to check the shade. - Extremely rich and creamy. It kept my lips moisturized & I didn't even need to apply lip balm before applying this lipstick. - Well pigmented with a golden shine. - Once it dries out, the lipstick accumulates in the creases of your lips. -Well-pigmented red shade. It is that perfect red shade which a girl must own. - Soft to outline and apply on the lips. - It comes in the form of a wooden pencil form which becomes cumbersome to sharpen now and then. There is also a chance of it splintering once you sharpen it. Instead they should package it in the twist-up plastic pencil packaging. NB: If you decide to use this liner as lipstick which I did, make sure to apply a clear lip balm before you do so. I do hope you liked the reviews. The SpaStore will be launching soon so if you want to purchase any of these NYX products or any cosmetics, do head over to the SpaStore for all your beauty requirements. Not only do they stock over 10,000 international brands but you be will assured that your order will reach your safely and in mint condition. I missed you guys & I'm so happy to be back. I took some amazing pictures there & apart from gorgeous landscapes, I sneaked in an outfit shoot or two! And its only cause I love you guys. So lots of lovely pictures will be up soon. Do make sure you're a part of the Sunkissed Facebook Page to check it all out!